The first really big race at Langley Speedway since it opened in 1967. 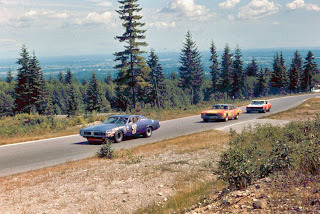 A Canadian American Modified Racing Association (CAMRA) event, first one in the Greater Vancouver area since two events were held at Haney Speedway in 1963. Yet another year of Westwood, building toward the 50th anniversary of the track's opening. Big race in 1964, won by Jerry Grant. Lots of great info in the newspapers for it. Learned that Jack McCoy, from Modesto, California, passed away earlier in April. He had been a NASCAR Western Grand National champion a couple times. And he travelled north to Langley and Western Speedways as well as the Westwood sports car circuit for NASCAR races. I bought his book, Racing's Real McCoy, a few years back. 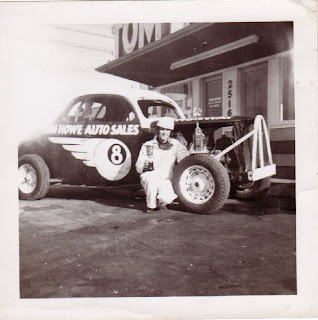 A good look at his life in racing and the west coast NASCAR scene of the 1960s and 70s. A couple links and a couple photos of him with his No. 7 at Westwood. An announcement in the local daily that Digney Speedway champion (1950 in the hot rods, 1952 and 1954 (stock cars). He's 80 (!!!) as of April 27th. From the Vancouver Sun on Saturday. Been doing some work on the 1972 newspapers (as you might be able to guess from some recent posts). I'd not been aware of the fatal mentioned in this article. Always sad to learn of these things. 1967 is the beginning of a couple busy years at Langley. Saturday evening (lights were being installed) and Sunday afternoons. Plus holidays. Close to 40 days of racing scheduled. And some of these reports for the weekend racing get squashed together into one report. Sometimes confusing to pull out which race is for which day. Looks to be early lates, super stocks, and B modifieds for the Saturday. "Supplementary", sounds like Capt. Kirk or Picard. Westwood also ran karts and motorcycles. So a couple 1963 clippings featuring results for those racing machines. Something extra to the Westwood posts: Peter Mitchell's name has come up on the CMSHG forum. 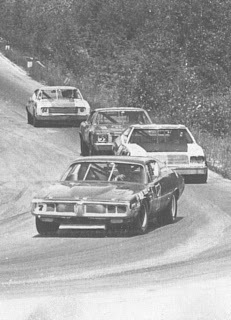 Here's a photo of him as the 1972 season was getting started. Close to the date itself, Mission opens its season in 1972 with some money worries. Races at Harrison Lake, Hatzic Lake and the interior. Mentions of Ron Bestward, Bill Allan and Ron Derrickson. Not sure how long this happened. And I really don't have the details on Lorne's passing. I believe it was during a hydroplane race in the Seattle area. And I think he was a protege of Jim Hutchison. Definitely more work needed here. The date line of the above story says May 14th but May 13, 1967 was Saturday and there was a race scheduled for Sunday May 14th that got rained out. Like I noted before, the May 14th date got rained out. Seem to have missed a week. Stuff happening. Renault was feeling like they should celebrate their class victories in the 1962 Shell 4000 Rally. So a big ad. Some clippings showing the results of the 1962 Shell 4000 Rally. An old story from a racing newspaper called FastLane Motorsport News, a Tulsa, OK, trade paper. Not sure if it still exists. I think Don Radbruch sent me a couple issues many years ago. 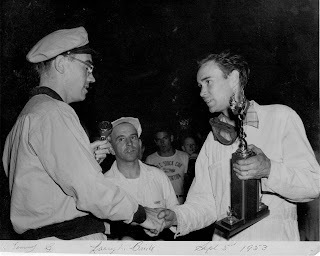 The Ruby story on some of his midget racing days always stuck with me.